Electronic Arts Inc. and Starbreeze Studios announced the reinvention of Syndicate, a storied franchise at EA. Created by an all-new development team from the awarding-winning studio that brought gamers The Chronicles of Riddick and The Darkness, Starbreeze Studios delivers a unique and brutal sci-fi first-person shooter experience set in a not too distant future, where business is war. Players take on the role of Miles Kilo, Eurocorpâ€™s latest prototype agent, and embark on an epic action adventure full of corruption and revenge. Set in 2069, Syndicate takes players into a dark, Machiavellian world run without government oversight with many syndicates vying for total dominance of their local market place. With no one to question their intentions or actions, three mega corporations Eurocorp, Cayman Global, and Aspari are at the forefront of this brutal war for control of the pivotal American market. In the world of Syndicate, everything is digitally connected, including the people. Players arenâ€™t limited to the weapons in their hands. Through DART 6 bio-chip technology implanted in their head, players can slow down time and breach the digital world around them to take down their foes using a variety of upgradable hacking mechanics. 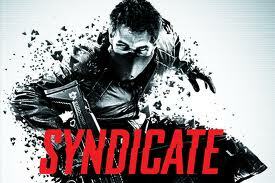 Syndicateâ€™s blend of fast-paced, futuristic, action shooter settings and story combined with innovative chip breach gameplay instantly immerses players in a unique digital world.